Location: Brower Park, Near the Prospect Place and Brooklyn Avenue entrance. 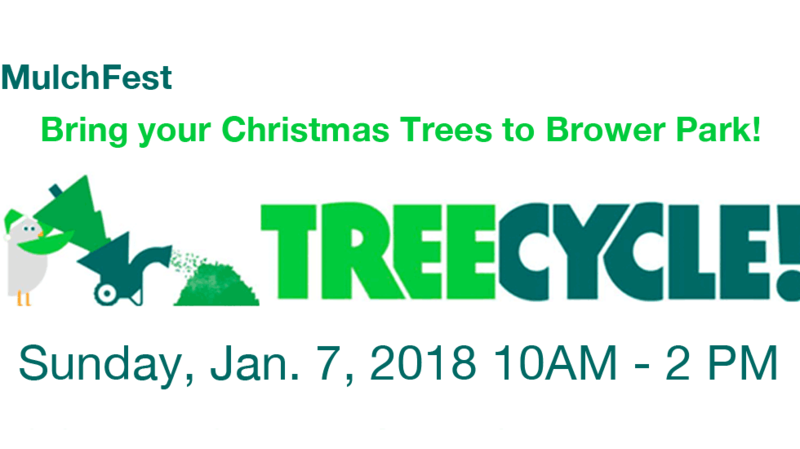 Drop Off Location: You may drop off your trees before January 7th. Please remove all decorations and place them in the grassy area behind the Park House along the Brooklyn Children’s Museum fence. You may also cut off the branches from your Christmas Tree and place them around the Street Trees on your block. This will protect the living tree from the winter’s chill. Sign up for the Friends of Brower Park Newsletter. Additional Information about NYC Parks MulchFest 2018.